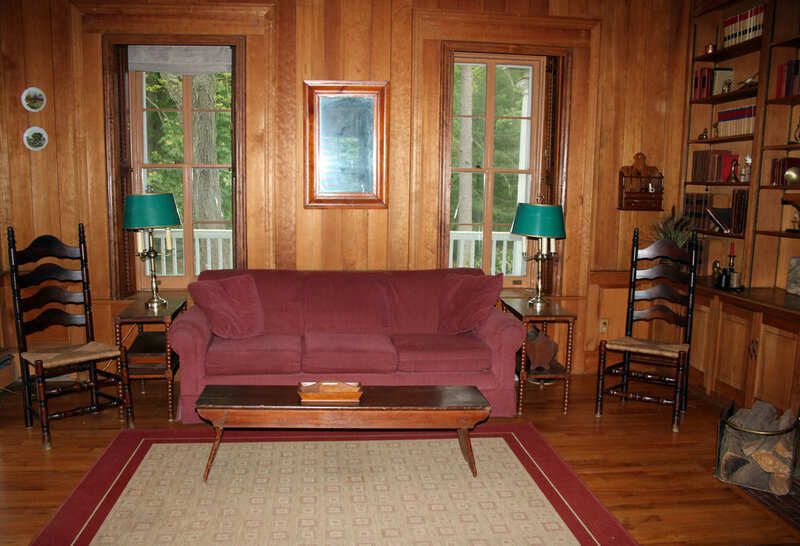 The den is completely pine paneled, with built-in bookcases and four large windows facing north, west and south. The working gas fireplace is surrounded by tile, and cement logs allow for control of the flame. 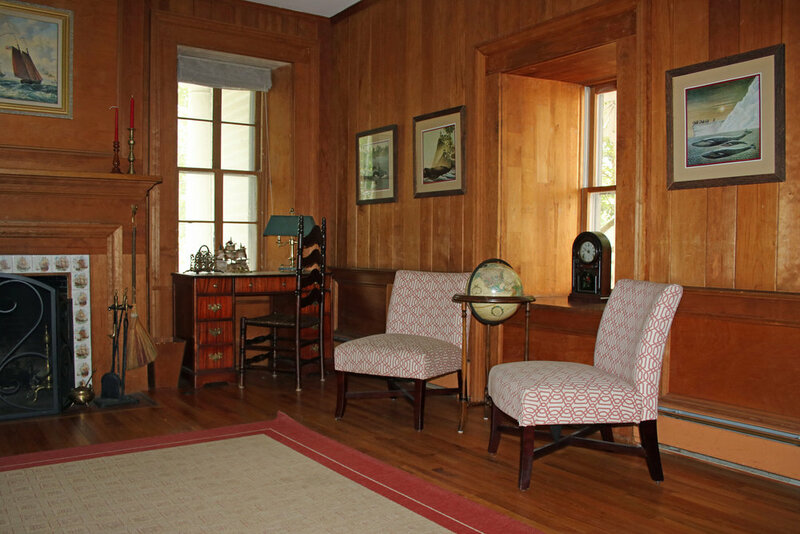 The furnishings are traditional, and lend themselves to a masculine setting. This room also works well as an office set.